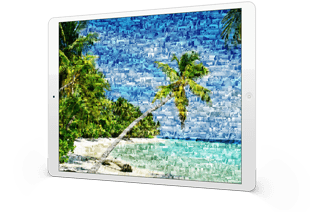 Creating your photo mosaic is always free! You upload your photos to our website and we use them to create a photo mosaic. That service is always free of cost for you. Then you will receive your mosaic to check if you would like to order it. You only have to pay if you decide to order the mosaic as a print. 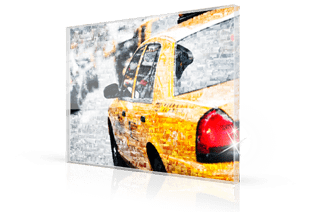 After creating your photo mosaic you can have it printed on poster. The following sizes are available. Posters can be ordered in matte or glossy finish. Both versions cost the same. 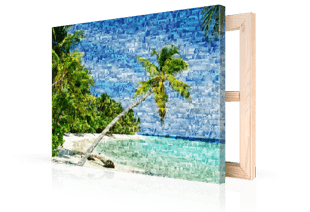 Photo mosaics on canvas are available in two different versions with a 2 cm or 4 cm thick stretcher frame . 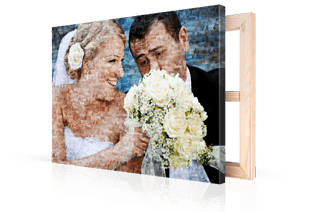 You can find out which version is best for your photo mosaic at the detailed page on photo mosaics on canvas. 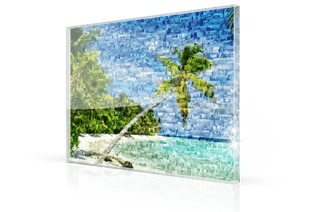 Your photo mosaic will be printed on the back of the acrylic glass. That way the mosaic shines through the glass – like a framed picture. The acrylic glass is available in 3mm or 8mm thickness. 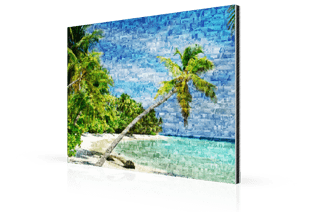 In the chart below you will find all of the available formats for photo mosaics on Alu-Dibond. The Alu-Dibond is available with a white semi-matte background or a shiny metallic background. We offer the download of the mosaic file outside our European delivery area. 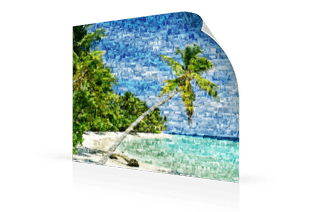 The resolution of the JPEG file is 300 DPI and is suitable for printing on all materials. 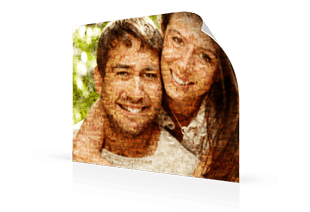 The shipping costs are based on the size of your photo mosaic. The table shows the shipping costs for acrylic glass, Alu-Dibond, and canvas. Since posters can be rolled and the size doesn’t make a difference, the shipping costs are always 9.95 £for posters to the UK and 11.95 £to Ireland.